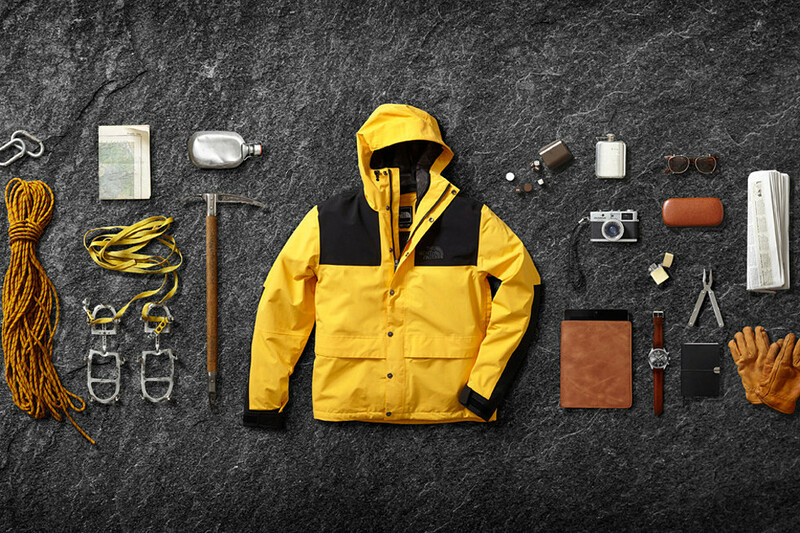 The North Face recently debuted their Fall 2015 collection and there’s something that everyone, from the rugged to the refined, can appreciate it. For more than 40 years the brand has brought us limitless innovation by way of performance apparel and footwear. This collection is no different, so whether you’re a dare devil on the ski slopes, a manic cyclist, a dedicated runner or just looking for stylish yet functional outerwear to sport in cold weather, The North Face has you covered. For the outdoorsman, the Fuse line has been expanded with Three Dot Matrix technology. The Hooded Down Jacket, Insulated Shell Jacket and ThermoBall Hybrid Jacket are the perfect delineation between warm, warmer, and warmest – with down insulation, PrimaLoft Eco insulation, and lightweight fleece, respectfully. In the Snow Sports category, the expansion of the Fuse Brigandine line brings stretch and insulation into the Steep Series jackets, making them much more comfortable and flexible for the experienced athletes as well as the novice. Taking inspiration from the concept that free skiing and snowboarding are a culture and a tribe, the brand added prints and colors from different cultures and groups around the world. This helps put more of an individual spin on your look and who wouldn’t want to be seen by everyone while pulling a “Poptart” (i.e., Airing from fakie to forward on a quarter pipe or half pipe without rotation)? At the top of the list for performance is the Mountain Athletics apparel collection. This line was built without sacrificing function for sleek, sophisticated form. These technology driven and purpose-built pieces feature FlashDry technology – active-stretch fabrications to provide unmatched durability, range of motion, and performance to outdoor athletes training to push their limits. This means you can channel your inner “beast mode” while hiking through any mountain.